Whatever you record, however you work, there will come the day that you need more inputs. Clarett OctoPre gives you eight – and eight outputs too – that you can use to extend the capabilities of your Clarett Thunderbolt audio interface – or any other interface fitted with ADAT optical inputs and outputs. The mic pres have been designed specifically for the Clarett range, with plenty of gain, yet low noise and distortion – and great sound quality. 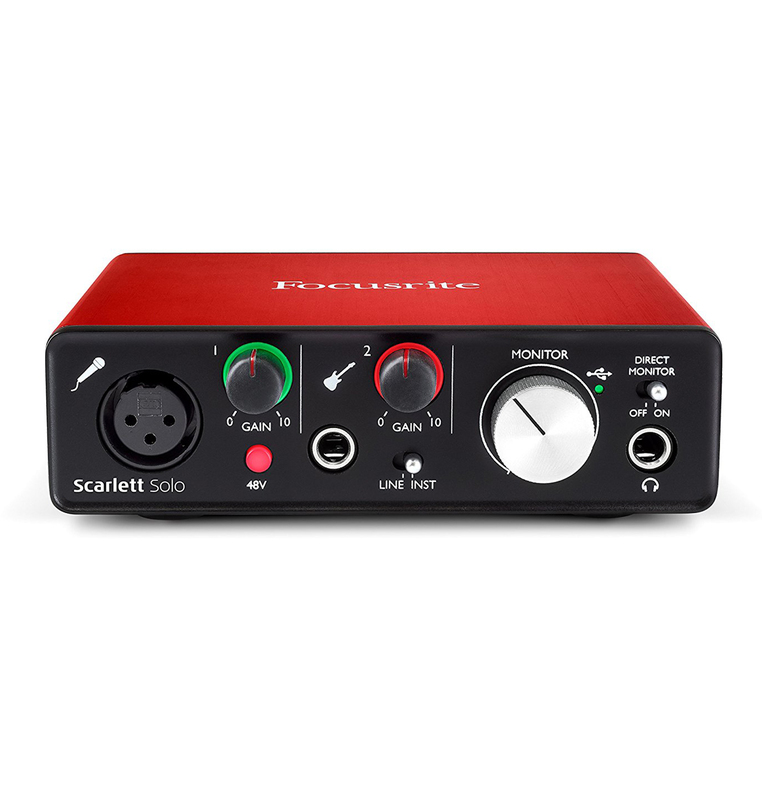 They include a special “Air” feature that switches in an analogue model of the classic transformer-based Focusrite ISA mic pre, switching the impedance of the preamp to that of the original ISA, and enabling a ‘transformer resonance effect’, giving your microphone recordings the air and clarity of an ISA transformer-based mic pre recording. In addition, the mic pres have plenty of headroom and are ideal for recording drums and other extreme level sources. The front panel includes dual instrument inputs featuring extra headroom to handle the loudest pickup, while the rear panel includes universal XLR/jack connectors for the remaining auto-switching mic/line inputs. In addition, each input has its own switched insert point for single-cable connection of compression, equalisation and other outboard analogue processing – with hard-wired relay bypass so you can leave outboard gear or a patchbay connected ready to access at the press of a button. In addition to providing eight mic pres with 24-bit, 192kHz A-D conversion, the Clarett OctoPre offers D-A conversion of up to eight ADAT digital channels feeding 25-pin DSUB rear-panel analogue outputs, making it useful for mixing as well as tracking. 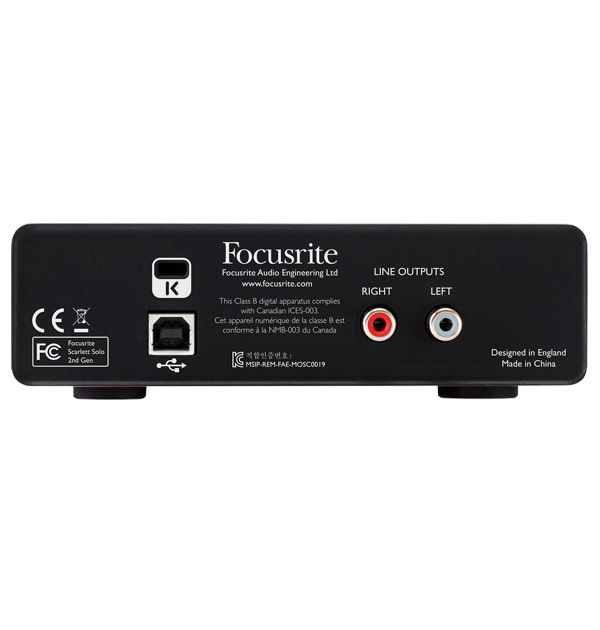 The line outputs can optionally provide line level output feeds from the mic pres – useful for feeding a live console, for example, while recording the digital outputs. Aside from the insert point, the Clarett OctoPre is balanced end to end for exceptional noise immunity. There’s no point in having the superb-quality mic preamps in the Clarett OctoPre without equally superb digital conversion to back them up. 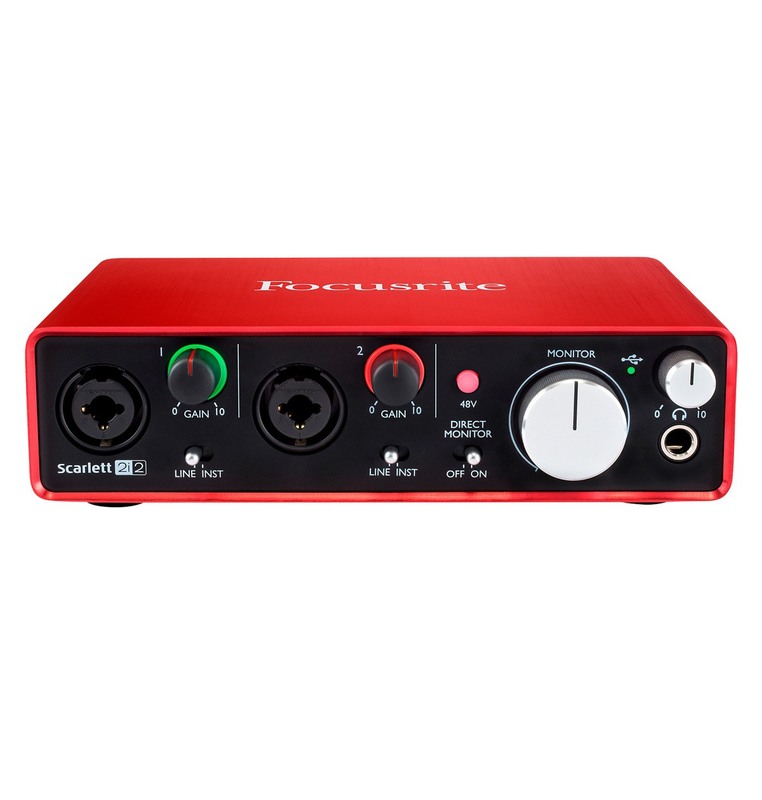 Focusrite has been making digital audio converters almost as long as mic preamps, and those in the Clarett OctoPre ensure that you maintain the highest possible quality getting your music in and out of your DAW. The Clarett OctoPre’s precision 24-bit converters operate at standard sample rates all the way up to 192kHz – ideal for hi-res audio – with up to 118dB (A-D) /119dB (D-A) dynamic range. Please note, RIOTSOUND is an AUTHORIZED FOCUSRITE DEALER. 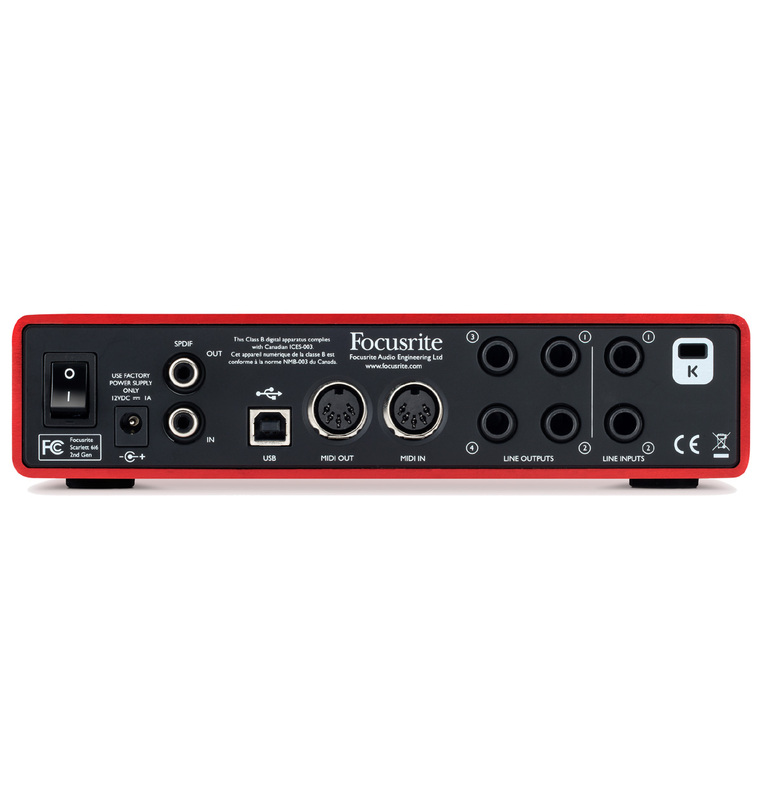 Every FOCUSRITE product we sell comes factory sealed and includes an original factory warranty. With nearly a decade of pro-audio retail experience, at RIOTSOUND we offer you the expertise, commitment and attentive customer service to make sure you will be 100% satisfied with your purchase, each and every time. Please shop with confidence and peace of mind. Shop with an AUTHORIZED FOCUSRITE DEALER and receive a 1 year warranty on parts and labor against manufacturing defects. In the event of a Manufacturing Defect becoming evident in a product within 12 months from the date of the original purchase Focusrite will ensure that the product is repaired or replaced free of charge. A Manufacturing Defect does not include damage caused by post-purchase transportation, storage or careless handling, nor damage caused by misuse. 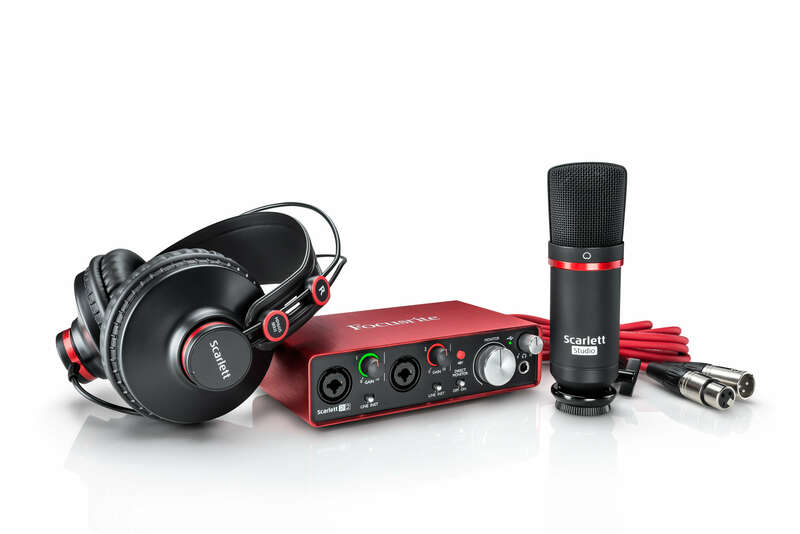 This limited warranty is offered solely to products purchased from an Authorized Focusrite Reseller.